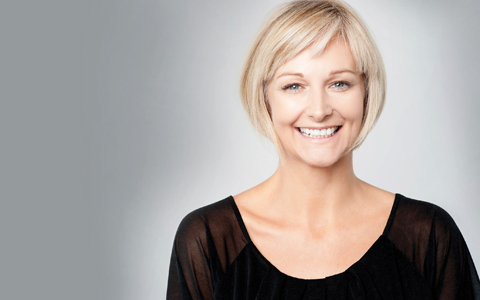 If you have suffered for years with a crooked smile, but have been unable to commit to years of metal braces, there’s a better option waiting for you at Smilecology. Many people put off orthodontic treatment because metal braces can be uncomfortable and aesthetically distracting. Dr. Phan’s patients can retain their confidence throughout their orthodontic treatment with Invisalign. We provide both Invisalign and ClearCorrect braces. These clear plastic braces will straighten your smile without those bothersome brackets and wires. Are orthodontics really worth it? Crooked, gapped, and misaligned teeth can affect both your self-esteem and your health. Straight teeth allow you to enjoy life more because you like the way you look. They are also easier to clean, and less likely to accumulate dangerous bacteria. Patients with straight teeth have a reduced risk of gum disease, tooth decay, and TMJ pain. Patients appreciate that Invisalign doesn’t irritate the gums and soft tissues the way metal braces do. They can be removed whenever necessary, so you don’t have to change your diet to create a better smile. We provide both Invisalign and ClearCorrect braces at Smilecology. ClearCorrect braces are also removable, clear aligners that we ourselves are able to design and print. If you have an imperfect bite or unsatisfying smile, give us a call. We can perform a complete evaluation to diagnose specific orthodontic issues and write out a treatment plan that is right for you. We look forward to improving your life through Invisalign and quality dental care at Smilecology.